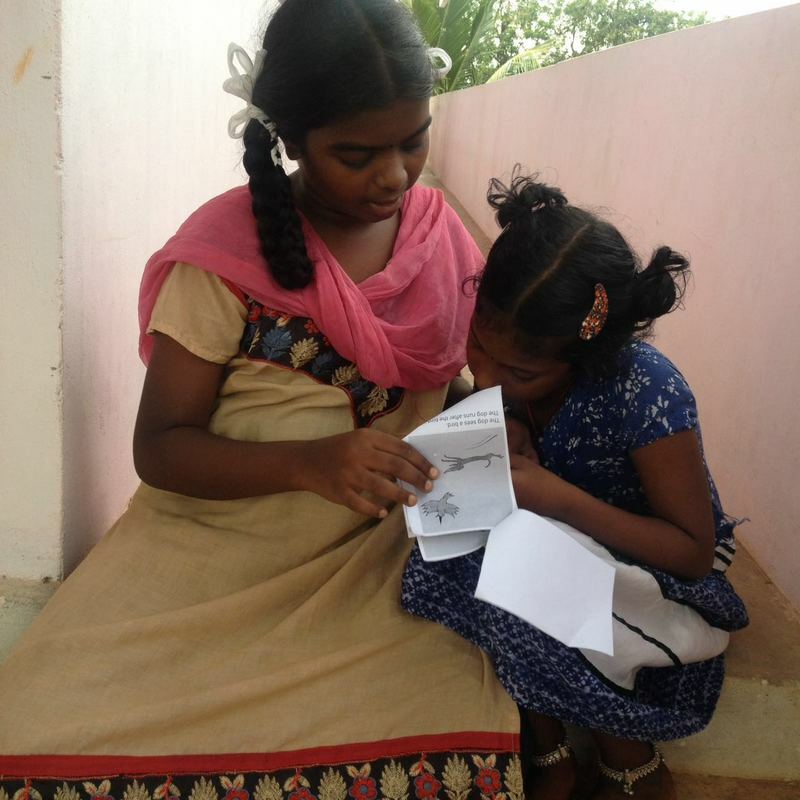 Communities Rising runs after school programs for children attending government primary schools in underserved rural villages in the Villupuram District of Tamil Nadu. When they started their new reading program, Betsy McCoy, founder and President of Communities Rising asked the students "How many of you ever read books for pleasure?" Not a single student said yes. Fast forward two years, and a totally different picture has emerged. “All of our students are reading every day; story books, non-fiction books, biographies, all kinds of books. They are discovering the joy of reading! Without StoryWeaver, this remarkable change in our students’ reading habits would not have been possible.” shared Betsy. Communities Rising was struggling to find beginner reader books in English and Tamil that the children would enjoy reading at affordable prices. Plus, they discovered that once their student’s were bitten by the reading bug, they could not keep up with their voracious appetite for books! StoryWeaver’s relationship with Communities Rising started earlier this year, when they attended one of a workshop and demonstration in Bangalore. 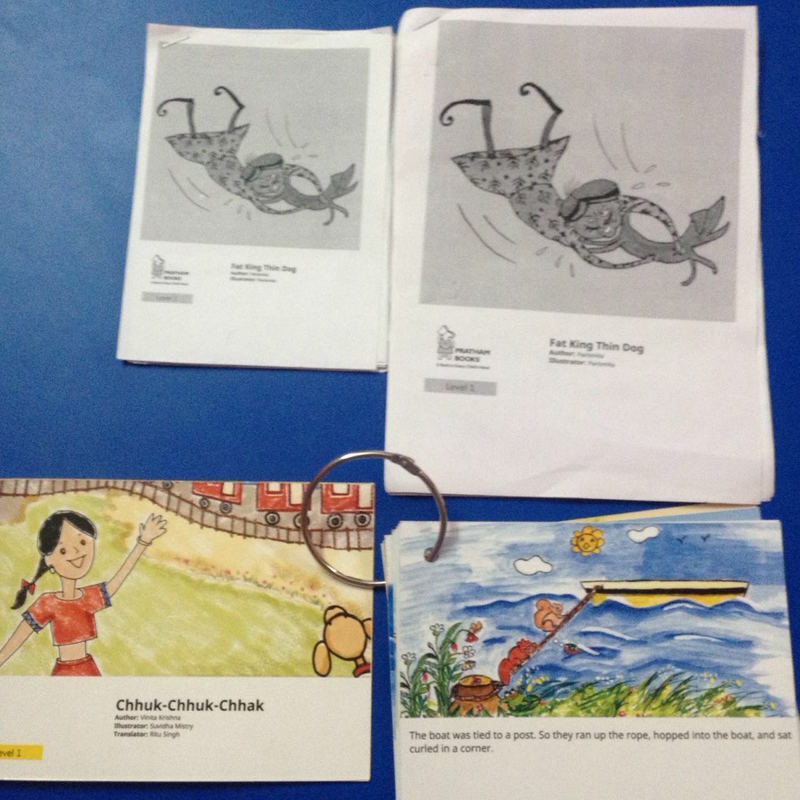 Through StoryWeaver, Communities Rising has access to a wealth of books in both English and Tamil, which they can download quickly and print to share with children. StoryWeaver also provides them a choice of titles in a variety of genres, including books on STEM subjects. If a particular title is not available in Tamil, they can translate it to Tamil on the platform itself and have it ready for the children to be enjoyed. “We especially love the bilingual books printed in both Tamil and English that allow our students to read in both languages on the same page. These books are a tremendous help with comprehension - it's like getting two books for the price of one!” said Betsy. Communities Rising have downloaded all of the StoryWeavers titles in levels 1 and 2 in English, and levels 1-3 in Tamil. They are in the process of printing and distributing one set of all these titles to each of their 6 centres, thus reaching 360-400 students. “We tried printing the books in two formats. One with single pages hole punched and attached with rings and the second with the pages stapled in the center. Durability is an issue and so we printed samples on heavy, card stock.” shared Betsy. The organisation believes that reading makes children learners for life and encourages reading in a big way in their after school programme. 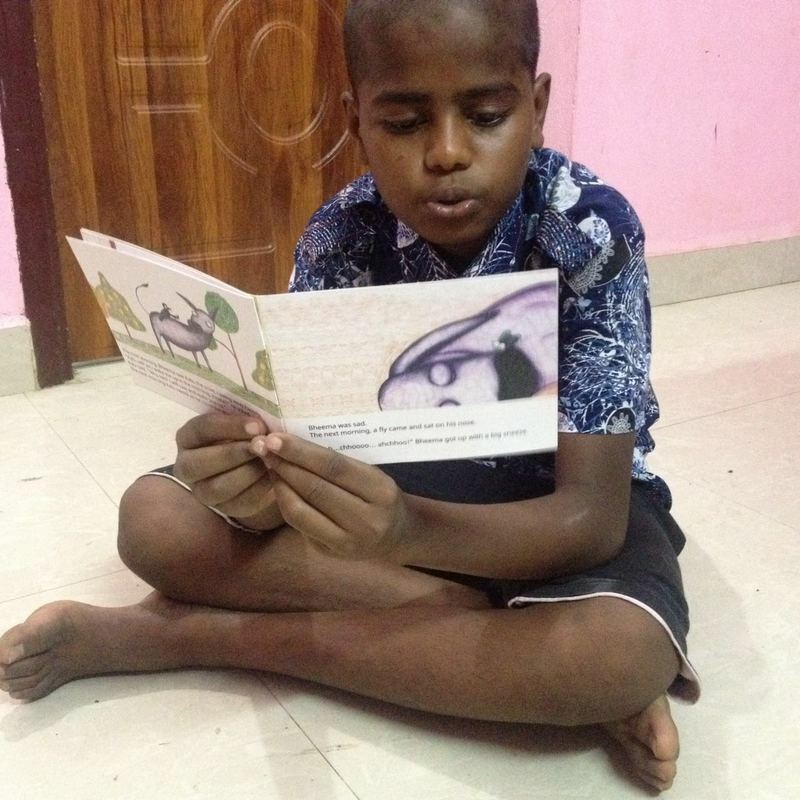 Each child is assigned a 'book box' which contains books that he/she must read each week - in both English and Tamil. Children are incentivised to read through the SuperReader program which has been developed by Communities Rising. “Each student has a CR reading necklace. They get a bead for each book that their teacher certifies they have actually read. After reading 10 books, they get ‘Readers Are Leaders’ pencils, and after 20 books, they get pins that proclaim them ‘CR Super Readers’. I'm happy to say that we are giving our many pencils.” said Betsy who believes that the necklaces, reading pencils and Super Reader pins help build a sense of community and sense of belonging to Communities Rising amongst the children. 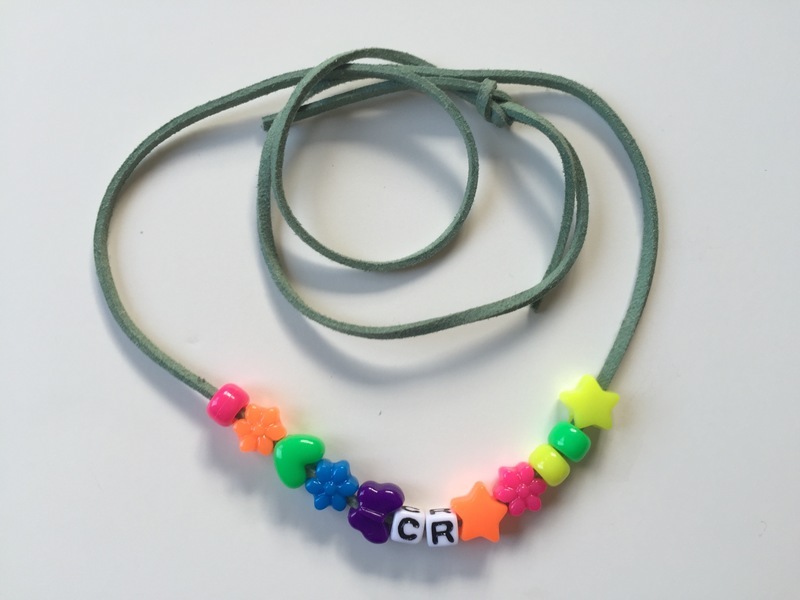 A CR Super Reader necklace. 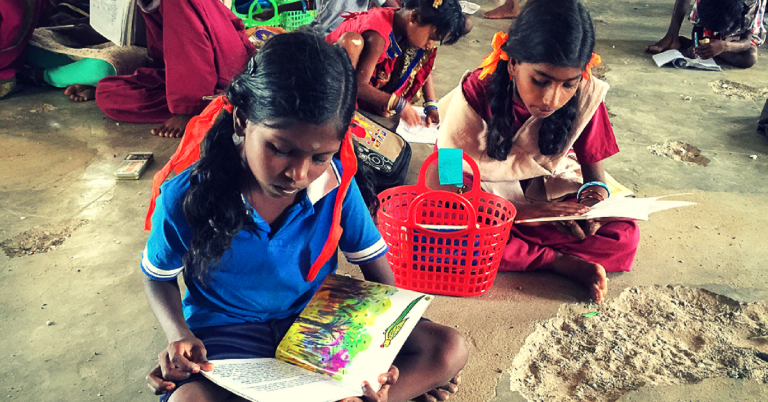 At the end of the year, the top readers from each center will travel to Chennai to visit Tara Boks for a program there and the top reading center will have a book party! “Last year, I told some of our kids, that I was looking forward to hearing complaints from their parents that they were spending too much time reading, instead of playing or helping at home. We aren’t quite there yet, but with the help of StoryWeaver, I have no doubt those complaints aren't far away.” said Betsy. You can follow Communities Rising on FaceBook. If you’re an organisation working with young children and feel that StoryWeaver could benefit them, please write to us at storyweaver@prathambooks.org. Do remember to add Freedom to Read in the subject line!